Astronomy. Not to be confused with Astrology. One is real, the other is, well.....I'm not going there. Yet. In the world outside out world, (which is ridonculously ginormous, considering it includes the entire universe), there are different masses of coalesced gasses and matters we call stars, planets, comets, asteroids, etc. And when we talk about stars, there are several types. Red Giants, White Dwarfs, Brown Dwarfs, Neutron Stars, Black Holes, Binary, Cephied Variables, Mira Variables, Pulsars.....I could go on, but you get the idea. There's a lot of different types of stars. The kind I'm going to talk about today is not really a star, in the sense that it's mass is too low to sustain a hydrogen-1 fusion reaction in it's core, like a main sequence star does. However, it's a sub-stellar object, and since it's internal physics are different that giant planets, it's categorized with stars. (for now). I'm referring to the Brown Dwarf. 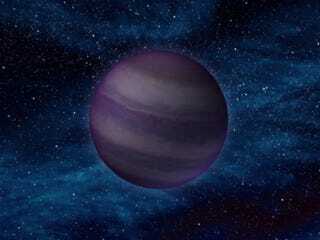 Specifically, the Brown Dwarves with Spectral Class Y. When most people think of stars, they picture the tiny glowing specs we see in the night sky. Some will also think of our own Sun, which is a star. The thing that makes a Y-Class special is, it's a cold star. So cold, in fact, you could grab a handful of it, and carry it around. In fact, scientists estimate the coolest Y-Class Brown Dwarf, WISE 1828+2650, sits at 80 degrees fahrenheit, or just about room temperature.